It has been a joy to interview Michelle Morgan because she’s not only a magnificent biographer, she is also my friend too. Michelle has always been on hand to listen to my silly questions regarding writing and she’s always ready with good advice. I can’t say that she’s steered me wrong yet. This is one interview that isn’t Mitford related but I think fellow authors, or aspiring writers, can take something useful away from this interview. Click here to visit Michelle’s Amazon page. Did you always want to be a writer? Can you tell us a bit about your journey in becoming published? When I was growing up I always thought wanted to be an actress. I wanted to be the next Marilyn Monroe!! I went to auditions, spent years working with a really negative, awful drama coach, took numerous exams etc, but what I discovered during that time, was that I really enjoyed writing the application letters (and was told they were very good) but I hated the auditions and the exams. It took me a while but eventually I realised that the reason I was so good at writing the letters, was because I was a writer, not an actress. That took about six years to realise! But when I did, it all made sense. When I was really young I used to write my own books (held together with string and staples) and numerous articles and stories too. I was a writer from the age of about eight, but I never knew it – it took me until the age of twenty-one to finally understand that writing was what I needed to do with my life. 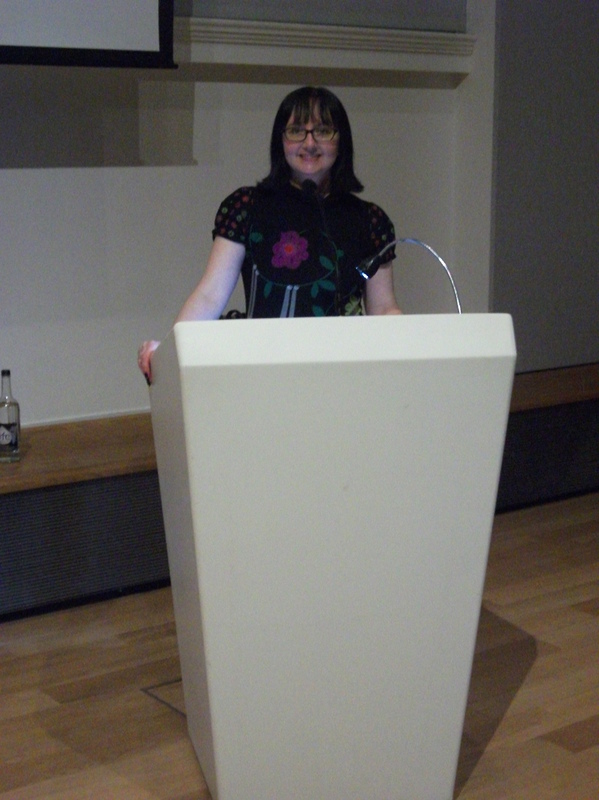 The journey to becoming published was long and rather up and down. I worked in an office for seventeen years and during that time I was faced with an onslaught of negativity from many of my colleagues. I was laughed at for having a dream that was out-of-the-ordinary; I was told I would never leave to do anything because I was ‘part of the furniture’ and whenever I was lucky enough to be on the television (such as the Collector’s Lot programme, or BBC and Sky News), people would take great joy in telling me they had ‘missed it.’ Don’t get me wrong, there were some people who were very supportive, and I’m still friends with them today, but for all those who supported me, there were many more who made fun of my dreams. That’s okay though because those detractors made me very determined to prove them wrong, and made me extremely grateful for everything I have now. But getting back to the point of becoming published…. In 1995 I had a book published entitled ‘Marilyn’s Addresses’ which was small but gave me enough confidence to see if I could write more. I struggled for many years and wrote lots of articles, newspaper stories etc, and finally got a big break when Constable & Robinson decided they’d like to publish a hardback biography called ‘Marilyn Monroe: Private and Undisclosed.’ I was very lucky because they got me a publisher in the States too, and five years later I was given the opportunity to do a complete revision of the book for a paperback, which reached number 16 in the W H Smith Bestseller lists in 2012. What a shock that was, but a happy, happy, shock!! I had a few ups and downs between the hardback and paperback books, with several projects not working out the way I’d hoped, but I learned a great deal from the experiences, and now I am happy I went through the disappointments because they taught me to rely on myself and my own abilities. Since then, numerous projects have come my way, including ‘The Mammoth Book of Hollywood Scandals’ which has just been published. Around the time the hardback was published, I was offered a column in my local newspaper, and I have been writing it now for the past six years. I am very happy to have my own column; not only because it has given me a chance to become more well-known locally, but because it also gives me the opportunity to use my imagination when thinking of things to write about every week. What inspired you to write biography rather than fiction? I like to write both, but it just so happened that my non-fiction work was picked up by a publisher, and my fiction wasn’t. Actually I came quite close to having a novel published in 1998, but then at the last minute the marketing department of the publishing house decided that it was too much like Bridget Jones and so decided not to go with it. At the time I hadn’t even read the Bridget Jones novel so it was a pure coincidence that they were in any way alike, and I was devastated that the book was dropped. It is now lurking in a cupboard, along with several other novels that I wrote in the years after that. I have been writing another novel for the past few years, called ‘Before I leave’ which is about an old man called Joseph, who is struggling to come to terms with the loss of his wife, and trying to discover why he is still on earth when his wife has gone. It is a slow process because of the non-fiction work I am commissioned to do, but I will finish it one of these days. 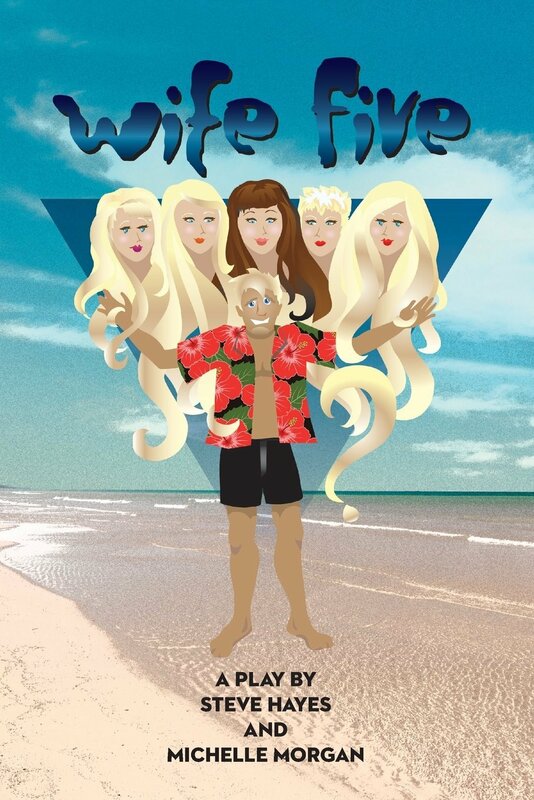 I also have several other ideas for novels, and I have a play published, called ‘Wife Five.’ I wrote the play with Hollywood scriptwriter Steve Hayes, and it is about a man called Harry who has been married four times, and is about to embark on a fifth marriage. His existing ex-wives are threatened that their lazy weekends at Harry’s beach house are about to be scuppered, so campaign to end the marriage before it has begun. It is a comedy and I’m very proud of it, so to see it published is fabulous. Next I hope to see it produced on stage too (there is a theatre company quite interested in it). If that happens, it would be brilliant! Do you think you will move into the fiction market eventually? Yes I definitely think that I will write more fiction. The publication of my play is a big step in that direction, and I will continue to move that part of my career forward. It is my aim to write in all kinds of genres – biography, novels, children’s books, plays, and screenplays. At the moment though, I am becoming very well known for my work in biography and non-fiction, so I think I will stick to that for a while and then make my move a little later down the line. I intend to write for the rest of my life, so God willing I will have many more years of writing books ahead of me. What process do you undertake when writing a biography? I start by creating a timeline of events in my subject’s life, then start doing the research; gathering as much information as I can find such as vintage newspaper articles, documents, letters, archives etc. Then when I think I have enough to start writing, I do so, but my research never ends. Up until the revision process, I am still seeking new information, looking for new leads and writing up recently-found information. I am a firm believer in leaving no stone unturned and I think that came across particularly in the Marilyn book – I tried to write about all aspects of her life, from helping a family member with DIY, to singing for the President, and everything in-between! I wanted all her stories to be told and I think it came out pretty well in the end. I know that you are a great example or somebody who has gone mainstream with your work but has also put in the time and effort to do projects which are a labour of love. What do you think of the E-book and self publishing market and how do you think it will effect your work as a writer? I have mixed feelings about self-publishing to be honest. Don’t get me wrong, there are some great self-published books out there and I self-published a book of my newspaper columns last year, which I’m very pleased about. But I am a very firm believer that writers are born, not made and with that in mind, I think it is hugely important for anyone who wants to write a book, to make sure they actually can construct a sentence before pressing send on the self-publishing website! Writing is not an easy job and I find it incredible that people think they can just throw words at a page and it will create a book. Writing is a craft just like everything else; and not everyone can do it. It is not shameful to admit that you can’t write; it is more shameful to self-publish a book that is badly written and expect other people to spend their money on it. I also find it scary that self-publishing means that people can write about all kinds of things that would never be published by a traditional publisher. Subjects that are taboo, or illegal can all be done as a self-published work, and this scares me a lot. Self-publishing is a great tool when used properly, but when abused, I think it can create a quite a substantial mess. I love many writers, but I am really inspired by biographer David Stenn, who has written about Jean Harlow and Clara Bow. 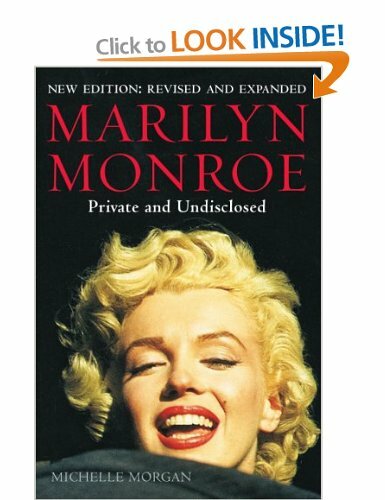 His books really did inspire me to write the Marilyn book, and I thanked him in the Acknowledgements section too. When he contacted me to say that he’d read the thank you I gave him, I was so thrilled. He is the God of biography-writing as far as I’m concerned! Other writers who inspire me are Jackie Collins, Lisa Jewell, J K Rowling, Jane Green, and Stephen King , because they all have a tremendous work ethic which I admire greatly. They tell a good story too! My latest book has just been published in the UK and will be out in the USA in December. It is called ‘The Mammoth Book of Hollywood Scandals’ and has so far been very well-received by readers. It covers over sixty different scandals, tragedies, deaths, etc and is 170,000 words long! The book goes from the Roscoe ‘Fatty’ Arbuckle scandal in the 1920s, right through to the present day, so it is quite diverse and has something for everyone I think. At the moment I am writing a book about Carole Lombard; co-writing an illustrated book about Marilyn Monroe’s early career; and am in the process of signing a contract to write about…. Oh wait… That’s a secret project and I’m not allowed to talk about it! Yet! I would love to write Madonna’s official biography! I’ve loved her since the age of thirteen and to have her ask me to work on her authorized story would definitely be a dream-come-true. But in the meantime, I think the books I am working on at the moment are definitely dream projects for me. I am grateful to every single project I am offered, and every day when I am able to make my living as a writer. I have dreamt about this for many years and I will never take it for granted. Doing what you want to do with your life, and be paid too is a great honour, and one I will appreciate for the rest of my days. Yes. To aspiring authors I would say that if you are absolutely sure that writing is what you were born to do, then never, ever, give up. I worked seventeen years in a job I hated, standing at a photocopier and imagining the day when I could see my book on a bookshelf and take part in interviews such as this one. Never let anyone put you down and belittle your dreams. It sounds trite but dreams really do come true, so work very hard and always do your best. That’s really the only thing you can do.